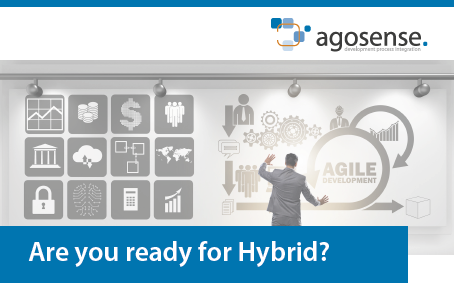 Since the early 21st century Agile development methodologies have been considered to be the Holy Grail, relieving IT projects from the cumbersome and too restrictive Waterfall model. But reality showed: The majority of the projects are exceeding the budget and finish later than originally planned. So Agile was not the panacea that everyone was hoping for. But the good news is that there is a new star gaining popularity - Hybrid. And guess what - it combines the best of both worlds.